1. More about launching Writer's Notebooks- I am launching WN because I know my class and they were already complaining about the use of folders, three pages of stories and their inablity to organize. 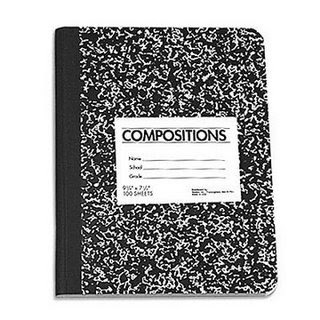 I need more information about launching, collecting things to write about, and teaching the concepts of the Writer's Notebook. 2. I need to purchase more books for my students that are on a second grade level since I am looping. I hope some of you have some great titles that you would like to send my way for that grade level. My students are pretty great readers so send me whatever! 3. Mini lessons for both reading and writing workshop. This is going to take some time and a little help from the curriculum department of FWCS. I hope they have these things ready, because it is time to get geared up for second grade. Since Sunday I have been without husband and children. I have had no responsibilities, just taking care of myself. I have been in Shipshewana, IN attending a reading and writing conference. I have been a life-long learner. Recently I discussed with my dear friend my summer motivation. I am teaching swim lessons, attending this conference, preparing for one at the end of the summer, waiting for July 14th Sydni's surgery date, going to the library... on and on and on my summer goes. I am not doing very much professionally. Lately I have been unwilling to pick up books, plan lessons, or even think about school. And then June 22 rolled around and my dear friend Kirsten picked me up in her Honda to go on a journey. This is where the story really begins, this is the heart, Penny Kittle and Georgia Heard would draw a heart around this part. My journey over the last couple of days has been very reflective. You see prior to the conference I have been stagnate, just letting the days of the summer "stuff" roll over me and keep me busy. I think we all need to just let the moments of life rush over us, collecting, and brewing until a moment comes when we are ready to release our thoughts, passions, and ideas into the world. Katherine Bomer, on Monday, says that "we should write what we are obsessing about," because these are the things that are really going to matter. She gave me time then, to go off into the sunny summer day to lay on my belly and just expose my writing "bones." I produced some really great things in my WN, I hope to share them someday with all of you. "Every time we ask a child to read aloud in school it is a test. When we read aloud to a child in school it is a gift." My husband summed it up best, not a writer, he put it into words that perfectly matched the moment. He said, "yea, you may be sore but you witnessed the purest childhood joy! Little people doing something in the "big" world, that' joy!" It made the soreness so worth it. As I turned around at one point I saw about 12 parents standing by the slide, they had video cameras, cell phone cameras, and digitals pointed in my direction! Ah, but I caught the faces first, hiding them in my mind's memory. "Moon shell, who named you? Some intuitive woman I like to think. I shall give you another name-island shell. I cannot live forever on my island. But I can take you back to my desk in Connecticut. You will sit there and fasten your single eye upon me. You will make me think, with your smooth circles winding inward to the tiny core, of the island I lived on for a few weekes. You will say to me "solitude." You will remind me that I must try to be alone for part of each year, even a week, or a few days; and for part of each day, even for an hour or a few minutes in order to keep my core, my center, my island quality. You will remind me that unless I keep the island quality intact somewhere within me, I will have little to give my husband, my children, my friends or the world at large. You will remind me that woman must be still as the axis of a wheel in the midst of her activities; that she must be the pioneer in achieving this stillness, not only for her own salvation, but for the salvation of family life, of society, perhaps even of our civilization." What have you done lately to achieve solidarity in your life? How do you find your center core, like the center of a Moon Shell? June's Slice of Life... A Little Late! We all gathered from many different directions at the local restaurant of her choice. My little family of four, my mother, my aunt, her son, and my second cousin, along with the guest of honor. A mismatch group of 9 gathered for her celebration. My aunt bringing in the cake, the color of a Mary Kay Cadillac. We all chose our spot, we ordered carefully from the menu, conversation flitting like a butterfly from person to person, guest to guest. Our food arrives and we bow our heads reverently as my mother prays for our food, our fellowship, and for the life we are celebrating. We all nod our heads at her example, her constant love, and our overwhelming joy to have her still with us. We ask that her life be able to celebrate many more years with us at this time in June. We discuss her upcoming events, today she will celebrate with us, tomorrow she will celebrate with high school chums! This month she will attend bridal showers for grandchildren, DAR meetings, and on and on and on... her calendar always full. After our meal we light sparkler candles, we sing in perfect harmony, and we cut the cake. We arise from our chairs, collect our to-go boxes, and exit from the restaurant hugging. "See you on Friday," I say.